Horses. All That power between your Legs, The Smell of Leather, The wind in your Hair Total Freedom you and animal as one. Re: MEN V Horse Riding. Bunnykins wrote: Which is Better?. 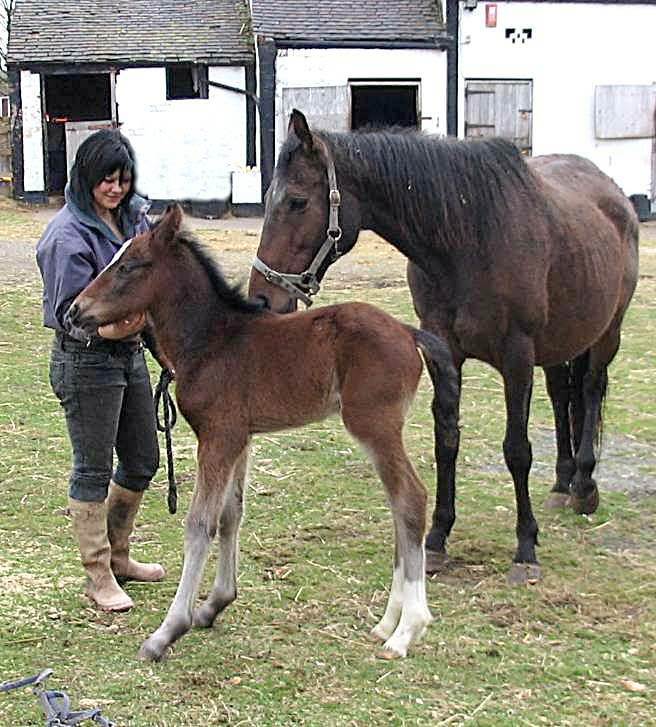 This Started as I was Chatting to Sue on MSN The other Night and I was Telling her about when I owned Horses and how I bought my Last horse With me to Coventry when I moved here. Sadly I've not got one now but I miss them alot. Ny Daughters is Working at a Stables now my sister as Still got 2 Horses. One of them his in Foal so we'll have a Baby in The Family soon. 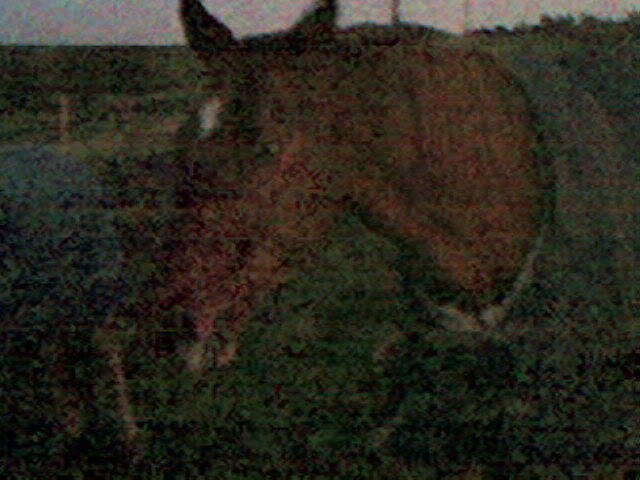 It's Dark as I Took it in The Field and it was nearly Night time I'll have to Transfer some better one's onto my p.c. AWWWW you can't see him. 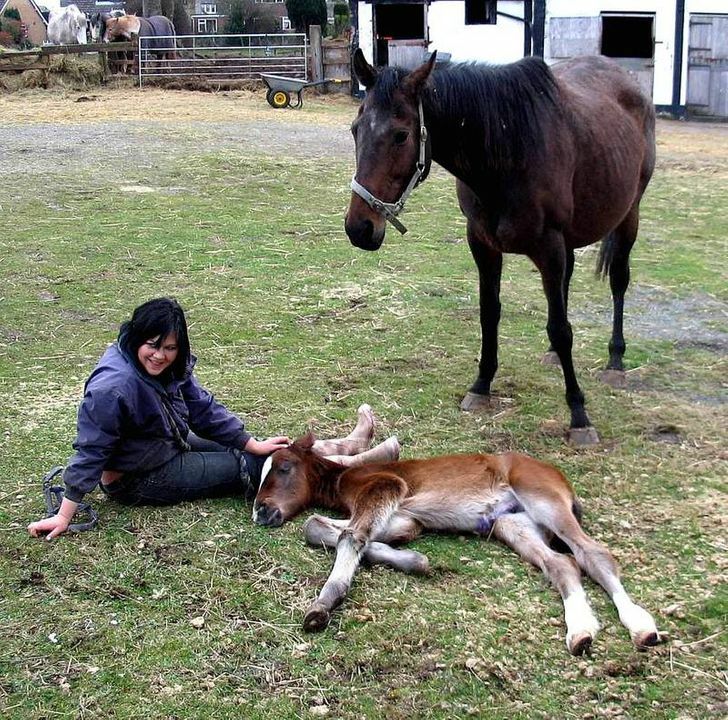 This is a pic of my niece with a Foal at the stables where she keeps her Horses at least you can SEE this one. Hi Bunny never mind the horses...can you give your niece my phone number!! !